For better or worse, medical device companies have found themselves the focus of increasing government regulation in recent years. 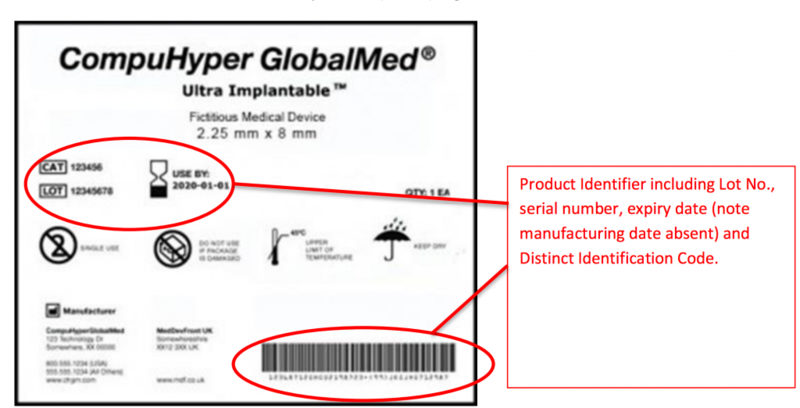 Back in 2013, the Food and Drug Administration (FDA) finalized a system that required, with few exceptions, a unique device identifier (UDI) on medical labels and packages. This UDI must be in two parts, including a device description readable by humans as well as a barcode for scanning. Sort of a checks and balances system that strives to eliminate identification errors as much as possible. As one might imagine, creating a UDI compliant label is no task for a standard off-the-shelf printer at your favorite big box store. For more information please see our complete guide to UDI. To learn more about our UDI ready printers – please see our products. #1. Device Identifier: The mandatory portion that identifies in plain English the labeler and specific version of the device. As should be obvious from the preceding, the FDA is serious about marking medical devices and drugs in a manner that there is absolute control over the product and no room for doubt as to what it is. The agency also maintains a national database (that eventually will become international) that allows interested parties to find out more about a device or product. Device labelers are required to provide a basic set of identifiers related to any product they put a label on. As we mentioned, the reality is that a standard Office Emporium printer has nowhere near the capabilities necessary to print the kind of specialized medical label necessary to meet the FDA standards. An entire industry, led by the cutting-edge research and manufacturing team at Doranix, has grown up around the idea of producing serious printing machines for serious printing jobs – like the UDI. Keep in mind that we’re not printing on plain ol’ 8.5 x 11 inch copy paper. Medical devices are normally ensconced in some type of foil, plastic, cardboard, or any of the dozens of permutations of Tyvek material. To put it succinctly, the greatest benefit of UDI printers is they can do print jobs lesser machines simply can’t. Heavy industrial design is the key. UDI printers are built to run thousands of labels in a single job without need of a single smoke break. Configuration options related to substrate thickness, surface roughness, adhesives, and coatings go far beyond what a standard printer could ever hope to accomplish. The bottom line is that there are only a few printer manufacturers capable of creating a machine able to meet the strict government regulations of the medical printing industry, and we happen to be one of them. For medical packaging printing solutions, Doranix offers the ThermaPrint 64 series. This exceptional line of printers retains the heavy-duty design from the original ThermaPrint models but has considerably upgraded the connectivity options, specifically with the addition of ethernet and USB ports. High Speed: The Near-Edge 305 DPI (popular with the original printer series) balances high speed, quality, and durability, while ribbon-saving technology stretches the life by 90 percent. Power: Depending upon client needs, the ThermaPrint 64 series allows for configurations ranging from four to six motors. Customizations can include an expanded collection space and stacker for high-capacity production runs. Ditto for an industrial roller/cutter if your packaging needs are of the flat sheet variety – common with Tyvek applications. Memory: 64 bit processing and 16 MB memory allows plenty of brain space for large jobs. Size: ThermaPrint 64 series printers come in a surprisingly compact package, measuring 26” W x 14” H x 14” D, depending upon your specific configuration needs. Weight runs from 55 to 86 lbs. Due west of Denver lies the thriving town of Golden, Colorado, which is where the Doranix plant resides. With an eight-year history of serving medical, food, and other packaging industries, our forward-thinking company specializes in the innovative design and manufacture of industrial printers, product ID applicators, and barcode solutions. While most clients are small to medium-sized companies, we have also found a niche in serving individual work cells in larger corporations. Principal Doranix members bring with them industry experience related to printer design dating all the way back to the early 1970’s. Our flagship product, the ThermaPrint 64 series was created specifically to replace the former (and now discontinued) industry-leading printer the Avery TDI. 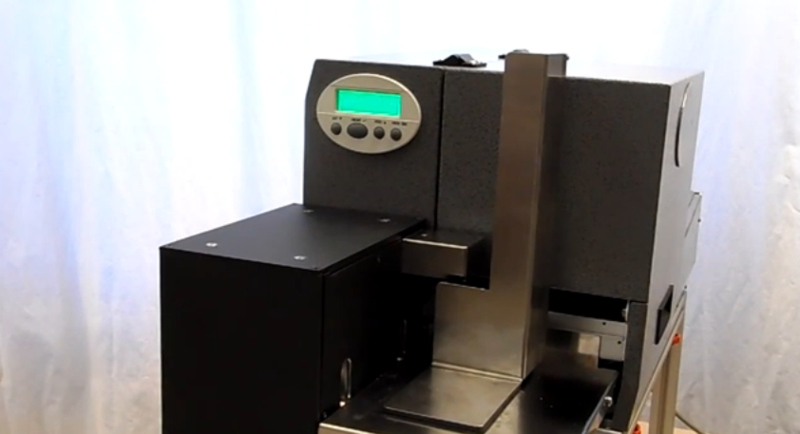 ThermaPrint machines are heavy-duty workhorse printers with a small footprint, resting easily on a modest table. In other words, they don’t dominate the workspace. Just the workload. 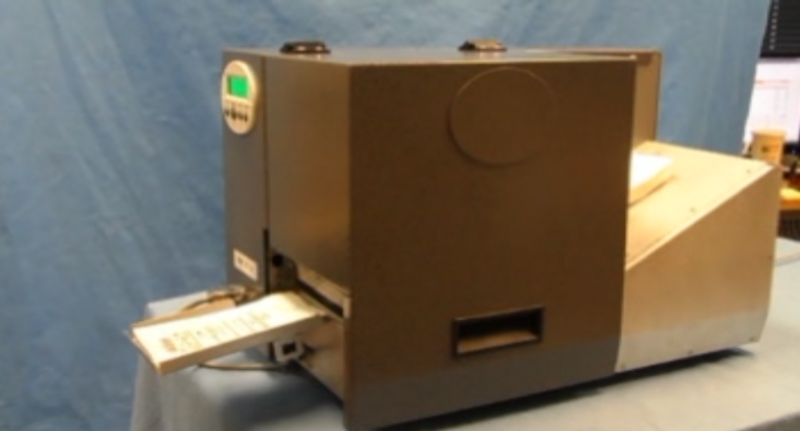 While many industrial printers still print on paper labels, Doranix has focused on creating a machine that can meet and exceed UDI requirements by printing on the package itself, which takes one point of failure out of the process; there’s no glue to loosen, thereby allowing a label to fall off in transit. With an eye turned towards always improving what we do, those in the industry should expect to continue hearing the name Doranix for a long time to come. As the FDA has made abundantly clear, medical package labeling is a serious undertaking, with no quarter given for shoddy work. This is fine with Doranix because our name has been made on quality products that yield quality results. If your company is in need of a solution to demanding printing needs, don’t hesitate to contact one of our company’s friendly reps. We’re always in the mood to talk about our products because we think they are the best you will find.